The word “legacy” comes up a lot when Mary Lee Dayton talks about what’s important to her and her family. 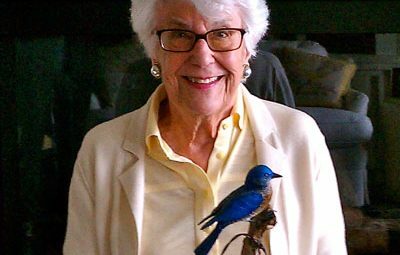 She and her late husband, Wallace Dayton, have been generous supporters of a variety of organizations, with those dedicated to the environment at the top of the list. That focus on natural lands comes both from Dayton’s own upbringing and enjoyment of outdoor activities and as a way to honor her husband. Although Mary Lee Dayton references her husband’s interests often, and honoring them is an important part of her philanthropy, it’s clear that she, too, has an abiding interest in the outdoors and in creating opportunities for future generations to enjoy them as she and her family have. Mary Lee Dayton is grateful to have had the financial means to support conservation, the environment, parks and trails and other things important to her. But she urges everyone to get involved in some way, starting by simply opening themselves to the outdoors.